If you are lucky enough to have a few days off for a holiday, and wise enough to plan a walking trip to fill those days, then you’re halfway to a successful and satisfying get-away from the pressures and cares of work and home life. You’re facing something different, in tune with nature, and profoundly engaging. But there is more to decide. You’ll need to choose a route, a distance and, as part of this, a difficulty level. Another option that many people overlook is whether or not you want a guided tour or a self-guided tour. With either option, going through a tour provider has certain benefits. One is that you can start off with the knowledge gained by others who know the walk well. This knowledge can sometimes be found by searching the Internet, but if you want information and advice that is tailored specifically to you and your group’s needs, then a tour provider – self-guided or fully-guided – is a great place to get it. Another benefit is that many companies provide you with an emergency number to call if there are any problems along the way. This number allows you to get advice when you need it, or to call for help from someone who knows how to get that help to you, wherever you are along the route, as quickly as possible. Even if you don’t need it – and hopefully you won’t – you will benefit from knowing it’s there. Beyond that, the level and type of service you want depends on you, your group, and the type of walking holiday you are looking for. A guided tour is, as the name suggests, a walking trip that is led by an experienced guide. There are different degrees of guidance available, from a guide who functions as an experienced walking companion, to a small team of people that work together to ensure you have the best possible experience with the least possible worry and stress. As with any choice, there are pros and cons of going with a guided holiday. Perhaps the most valuable benefit of going with a guided tour is your ability to rely on the expertise of the guide. 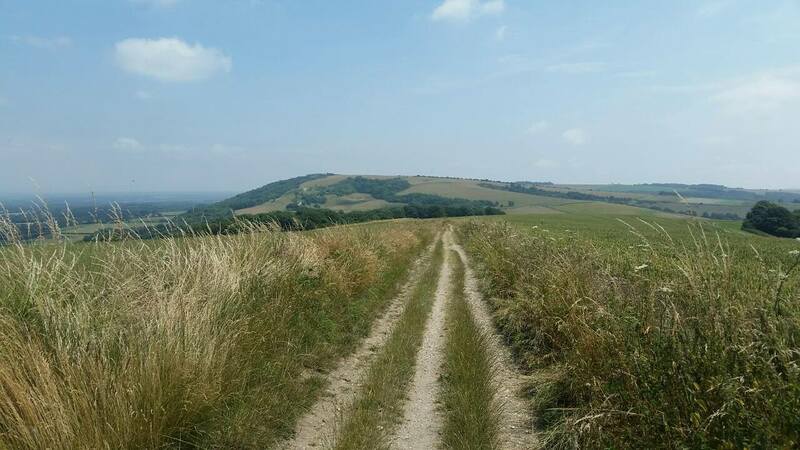 Though a provider of self-guided walking holidays will be able to help you choose an appropriate route and distance, an on-site guide can give you real-time advice and direction. Especially in more out-of-the-way areas, or in areas where the weather can change rapidly for the worse, having a guide on hand can both keep you safer and help you to enjoy the trip more. The guide may know an alternate camping or lodging place that will be closer or more comfortable in certain conditions. The guide may also be able to detect the signs of a change in conditions earlier, thereby giving the group more time to prepare. Though we hope you may never have to deal with an emergency, many people feel better having a first-aid-trained guide on hand in case of injury, and to prevent such conditions as hypothermia, heat exhaustion or heat stroke. A guide is also familiar with the physical appearance of the route and, when trail signs are missing or difficult to see, can make sure your group stays on the intended trail and avoids getting lost. Some guided tours have each walker carry his or her own equipment and supplies, but some providers include shuttle services for gear and supplies. The walker takes only what is need for that leg of the journey – perhaps a water bottle, snacks, and emergency rain gear – and the rest is moved ahead and set up for the group. Walk into camp, and lunch is laid out for you. Finish the walk for the day, and a sizzling supper is hot and waiting alongside cool beverages and delicious treats. If camping, not having to carry tents, days’ worth of water and other heavy items is a real benefit. For many people, especially groups of singles, it is nice not to feel any pressure to lead or follow one’s peers. If a guide is present, and is not a regular member of the group or a participant in the social club, then leading can be left to them, and the walkers can focus on the purposes of the trip: observing nature, taking in the scenery, visiting with friends or meeting new people. There are aspects of guided tours, though, that are not as desirable. Guided packages are more expensive as the provider must send out personnel (and sometimes vehicles) to lead a group and to move around supplies and gear. Because these are usually multi-day trips, the guides are away from home overnight, and are compensated for this through the fees charged. Most guided tours are also under pressure to maintain a certain pace. If supplies are moved ahead each day, then a group must reach that location in order to stop for the night. That may mean a longer hike, on a given day, than a group is comfortable completing. It may also mean an earlier end to a day’s walk, when the group would be happier pressing on a little further, perhaps taking advantage of good weather while it lasts. Along similar lines, a guided group must follow the pre-arranged route, and there is really no option to alter it once begun. The gear may have been moved to a certain place, or insurance restrictions may not allow a guide to alter the path taken. Finally, a guided tour has less privacy than a self-guided tour. The reasons for this are obvious: there is a stranger among you. If you are on a group walk with other strangers this will not impact the group dynamic much, but if you are a family group, or a group of close friends on a hike, then having a new person in the group can decrease the level of ease and intimacy you might otherwise have. If a more intimate and familiar setting is important to you, then keep in mind that a guided tour has its limitations. Self-guided walking tour, like their guided counterparts, come in a variety of forms. Some are very minimally-planned, consisting of a location, a pack full of gear, and the walkers head out on their own. There are services available, however, to make your self-guided experience easier to plan, considerably safer, and a lot more enjoyable. Self-guided walking tour providers can help you to choose a route and difficulty level, just like you might get with guided tour packages, but you would find your way on your own. Some companies even provide the equipment shuttle service, so you would be on your own throughout the day, but each evening you would arrive at a pre-arranged spot for the night, and your gear would be waiting for you. Just as with guided walking tours, self-guided packages have a variety of pros and cons. Let’s take a look at a few of them. Self-guided tours, because they require fewer resources to service, and because each package, once developed, can be sold several times over, are considerably less expensive than guided packages. That said, they do vary in price depending on the degree of back-up services you wish to employ. Perhaps the biggest pro of a self-guided tour is the privacy. If you are looking for a private time with family or friends, strolling through nature and getting to know each other better, then the intimacy of seclusion is a real benefit. You won’t feel the need to include a stranger in conversations, and you will be able to freely talk about whatever you normally would in the privacy of your own home – but with a stunning, natural landscape as your backdrop. Just as at home, perhaps it’s comfortable silence you’re after. You can have it with those closest to you, and not worry about the thoughts or feelings of someone you don’t know. Tailor your conversation and tone to your groups specific needs, with no outside influence. That’s the intimacy of self-guided walking. Along with that comfort comes full control of your group’s pace. True, if you choose to have your equipment shuttled ahead of you, or you have booked a package of accommodation, you will want to meet certain milestones each day. However if you don’t have that restriction, you can decide how quickly or slowly to move along the route. Even within that restriction, a significantly greater amount of control will remain in your hands if you are self-guided. Maybe you’ll want to linger a while longer at a certain spot and press on later into the evening to compensate. Maybe you’d prefer to walk rapidly through the cooler morning hours and then slow it down for a more relaxing pace in the sunshine later on. On a self-guided tour that is 100% in your control, and you won’t be adjusting your holiday to match the plans of someone else. Likewise, changes to the route are not normally possible on a guided tour, whereas you can alter a self-guided tour as you like. Take a side trip to a distillery in the Scottish hills. Walk an extra spur to check out a ruin you’ve spotted peeking out from a wood – it is all in your hands when you act as your own guide. This additional power, though a great way to customise your journey mid-trip, can also mean some inconveniences. Unfamiliarity with route can mean delays or unwanted detours. If a marker is missed, obscured by the growth of new foliage, or lost or damaged in some way, you may find yourself and your group walking miles out of your way, forcing you to backtrack or cut across unknown areas to regain your intended trail. Of course, if you’ve travelled a given route before, and are familiar with it yourself, this is a minimal risk. Also, with the advent of GPS technology and the expansion of coverage to include even remote areas, any loss of the trail can be quickly remedied with a little screen time. 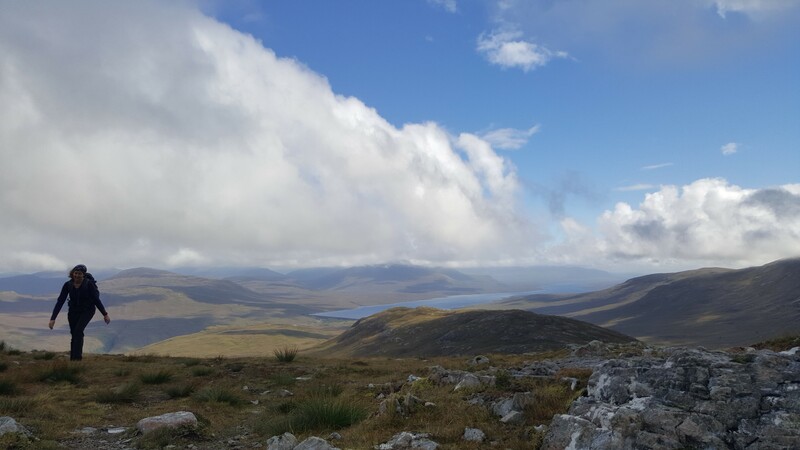 For many walkers though, the trip is designed to get away from digital technology and that constant tie to our devices, so even for modern confidence, there is a price to pay. If you plan to take full advantage of the flexibility afforded by self-guided walking tours – control of pace and route, choice of different lengths of walking days etc – then you will be taking on more than just an intellectual burden; you may be taking on the burden of equipment and food as well. Unless you have pre-booked with a company who organise your luggage transport and an inn or B&B each night, and maybe even packed lunches, then you’ll need to bring most of what you need along with you. That means a bigger pack, stiffer footwear, and more effort exerted per mile. That doesn’t mean a decrease in your enjoyment and satisfaction with the trip, but it will mean an increase in physical effort. Be sure to weigh each option – and perhaps the packs themselves – before making a final decision. Sometimes a little less freedom can feel a lot… freer. 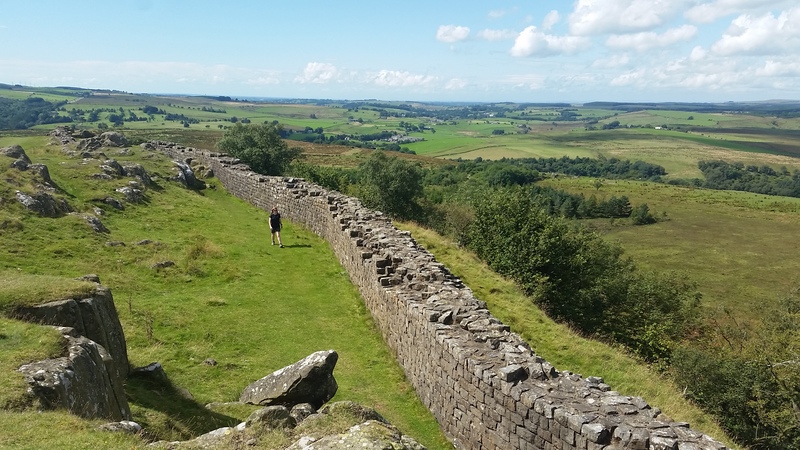 A walking tour can be one of the most satisfying and enjoyable ways to spend your hard-earned holiday, and with the variety of locations and difficulty levels available, there is one that will suit you and your walking companions very well. Whether you choose to pay a bit more for a greater level of service and security, or next to nothing for minimal tips and direction, depends on your particular skills, experience and desires for the kind of holiday you hope to have. For most, striking a balance between service and freedom means listing what it is each participant wants from the holiday, and then choosing the package that best fills the needs of the group as a whole. For complete beginners with little or no outdoors experience or expertise, we recommend a full service package with a guide to walk with you, and a portage service to keep your carry loads to a minimum. This will allow you to get a feel for walking holidays, without the stress of trying to find your way, safely, and without the burden of the physical fitness and effort involved with carrying your own gear. 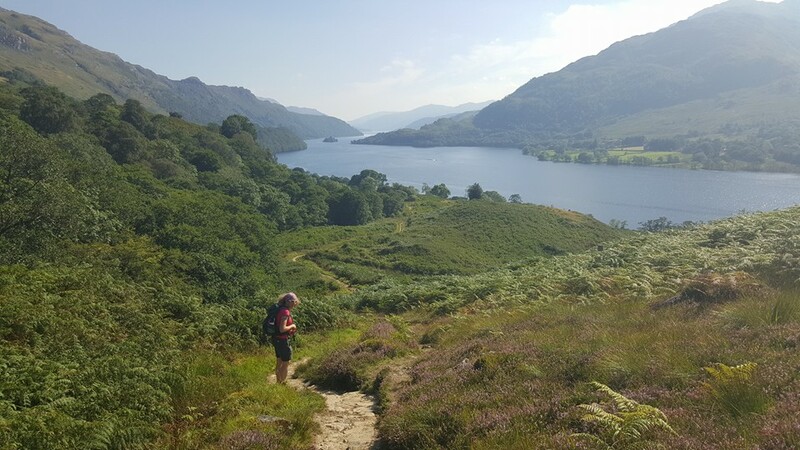 If you are more experienced in outdoor activities, and have a fitness level that would allow for carrying your own equipment whilst enjoying the challenge, then a pared-down package might suit you best. These would include guidance as to which routes might best suit you, information about lodgings and conditions, and a pre-planned route for you to follow, as your own guide, and within flexible time frames. You’ll find that a self-guided tour, despite (or because of) the extra responsibilities, is a more satisfying experience than a guided tour. 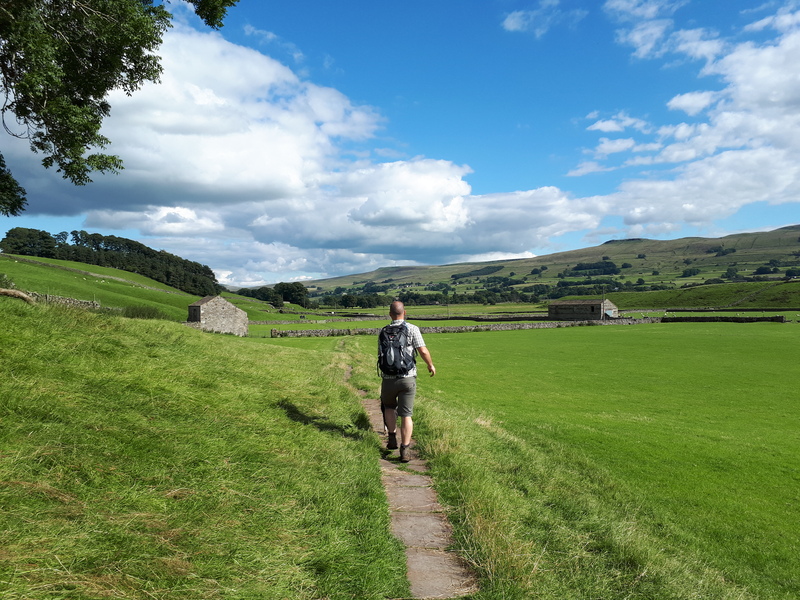 Finally, if you are an experienced, fit, and knowledgeable walker (who doesn’t mind making all of the bookings and preparations) you may only need a fellow walker to say, ‘You know a route I love? 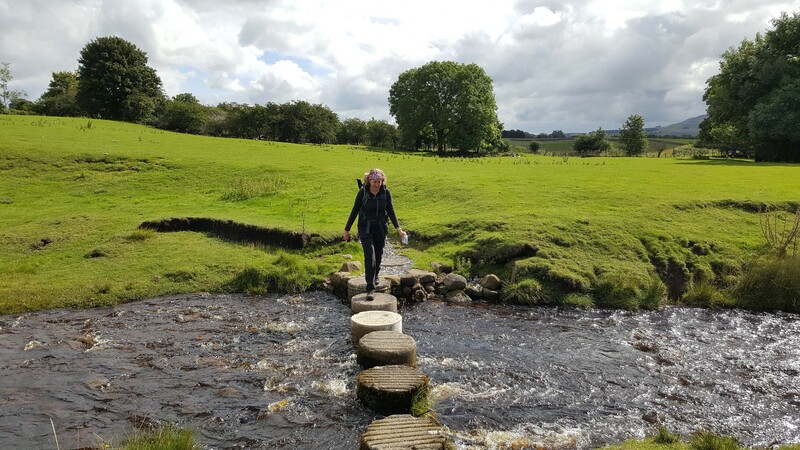 It’s the…’ and you’ll be off, pack on back, boots on feet, and a smile on your face as you step out onto another great holiday walking the beautiful UK countryside. Although clearly more expensive than DIY booking of B&B and route planning, the excellence of service made it much easier to concentrate on simply enjoying the walking.